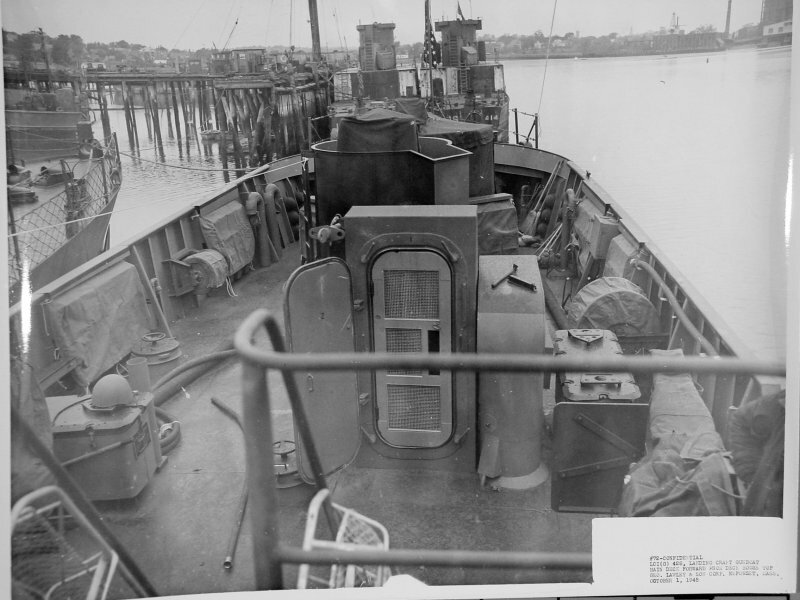 Laid down, 7 April 1943, at New Jersey Shipbuilding Corp., Barber, N.J.
87k View of USS LCI(G)-428 main deck forward from the bridge, 1 October 1945. 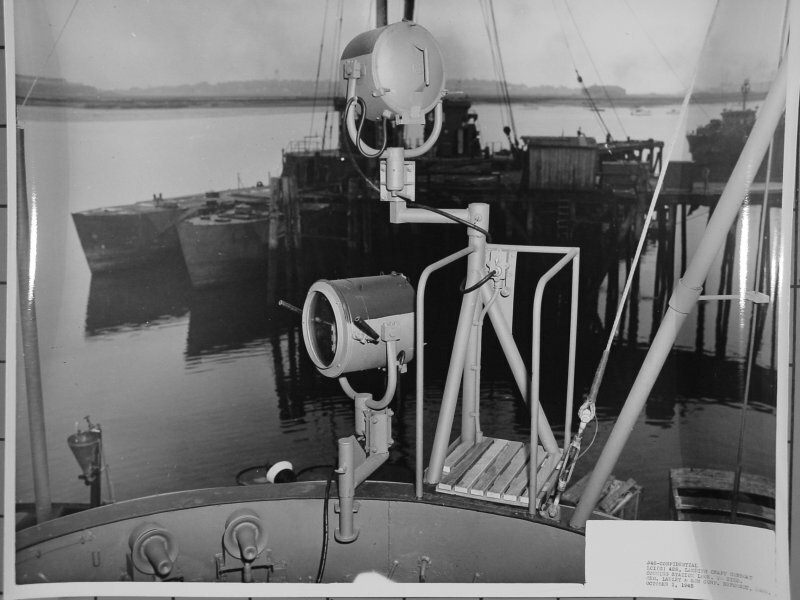 Note USS LCI(G)-414 moored forward of USS LCI(G)-428. 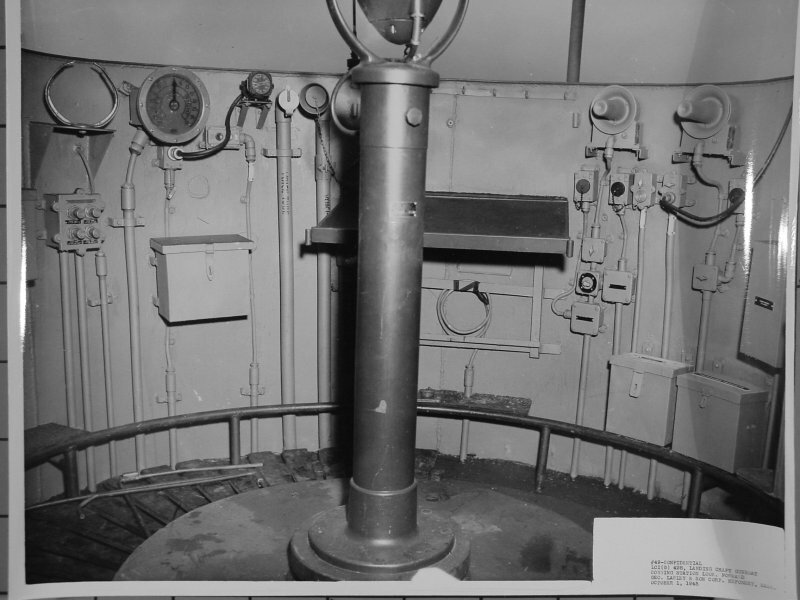 74k View of USS LCI(G)-428 conning tower starboard lookout station, 1 October 1945. 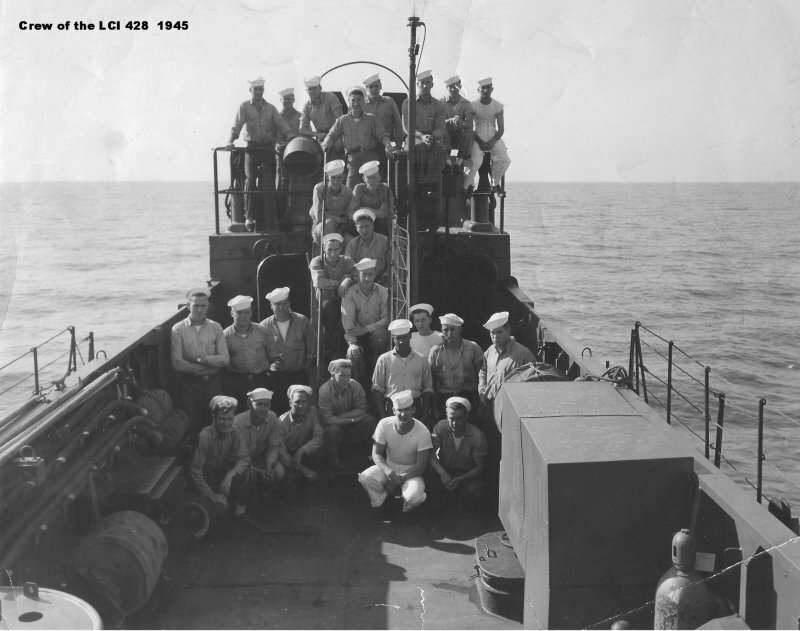 79k View of USS LCI(G)-428 conning station looking forward, 1 October 1945. 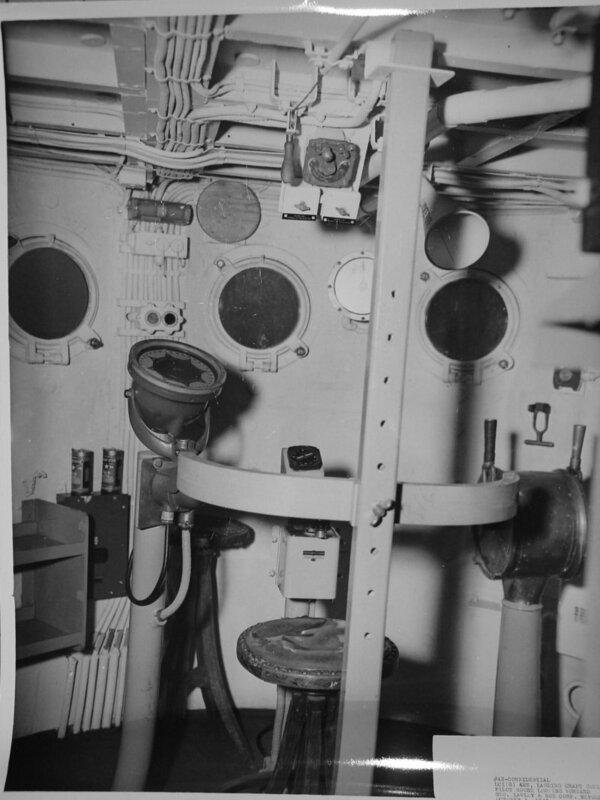 135k View of USS LCI(G)-428 pilot house looking to starboard, 1 October 1945. 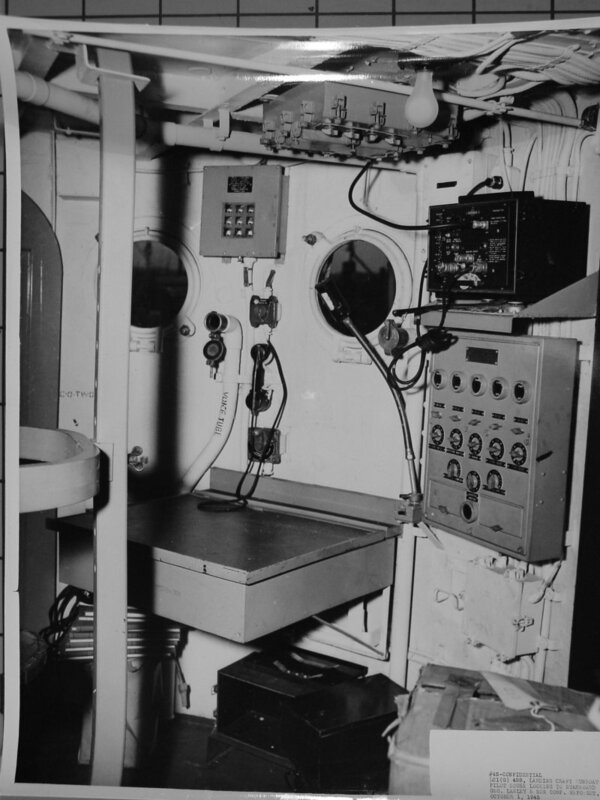 119k View of USS LCI(G)-428 pilot house looking forward, 1 October 1945. 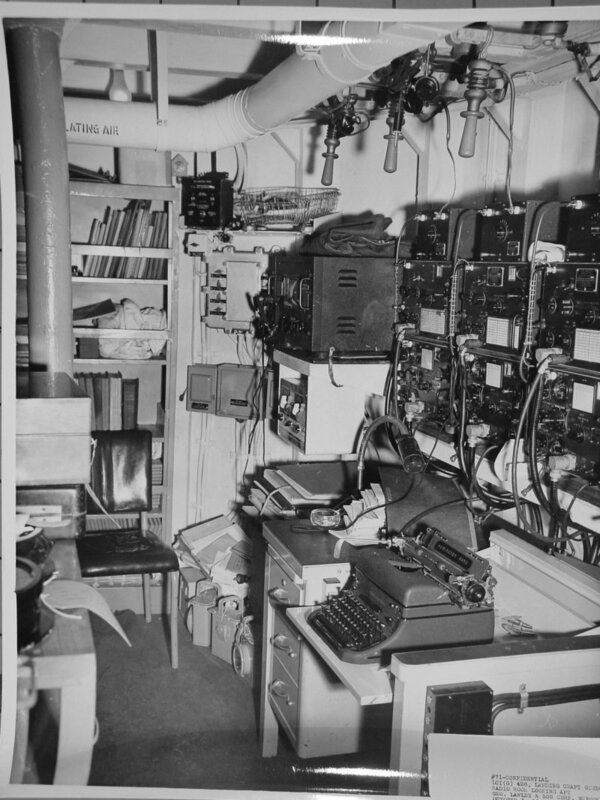 173k View of USS LCI(G)-428 radio shack looking aft, 1 October 1945. 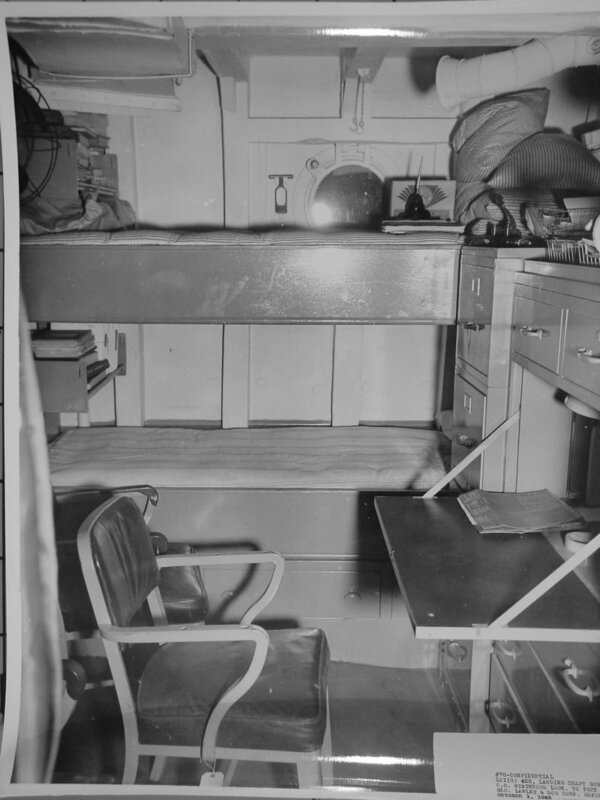 120k View of USS LCI(G)-428 commanding officer's stateroom, 1 October 1945. 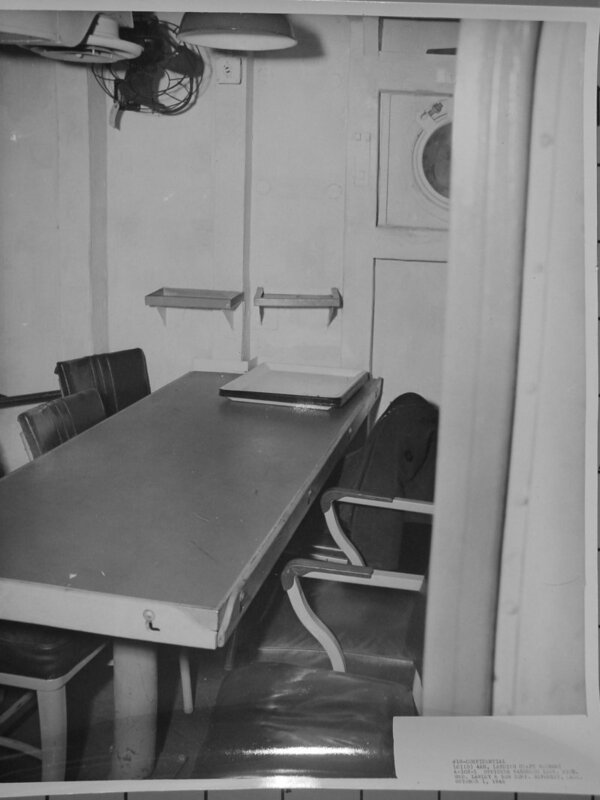 85k View of USS LCI(G)-428 wardroom, 1 October 1945.